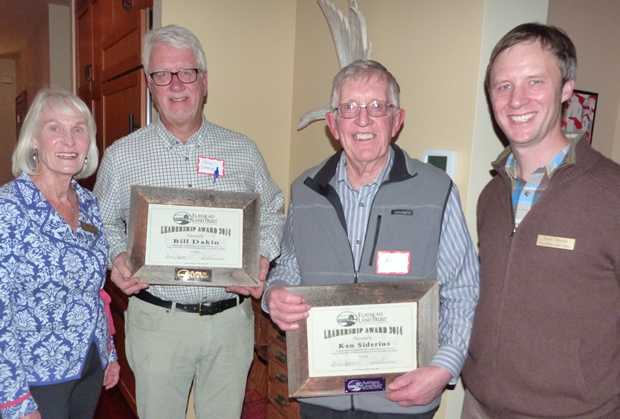 The Flathead Land Trust acknowledged the leadership and conservation achievements of Ken Siderius and Bill Dakin at their annual membership meeting on Sunday, December 7th with the Flathead Land Trust Leadership Award. This is the first year the award has been given to recognize the conservation achievements, leadership, and incredible volunteer service individuals have given to the community through their work with Flathead Land Trust. “We are very pleased to honor Ken and Bill with the first-ever Flathead Land Trust award,” said Paul Travis, Flathead Land Trust Executive Director.